Made completely from Pure Solid English 925 STERLING SILVER. 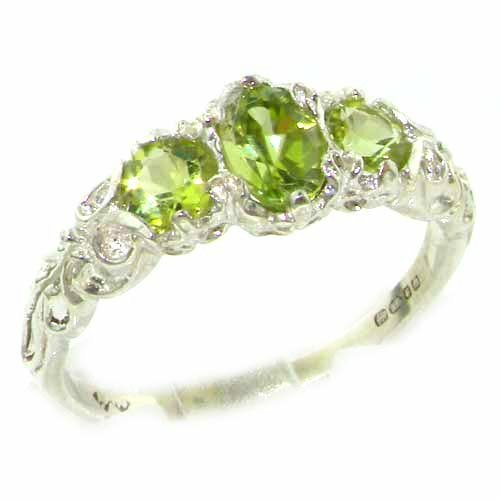 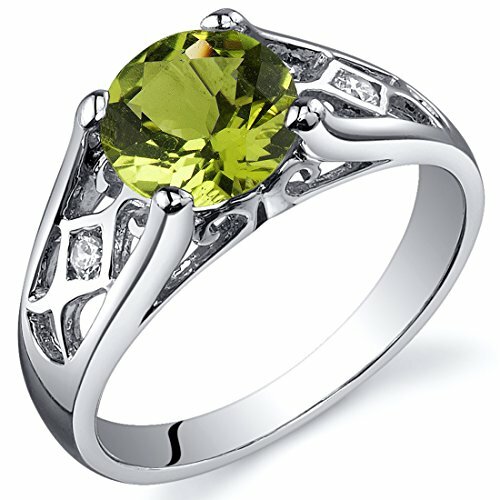 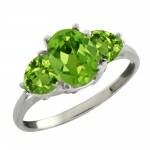 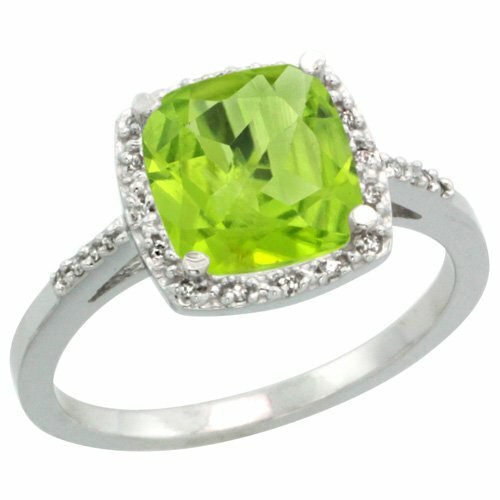 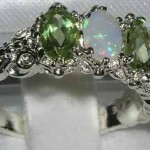 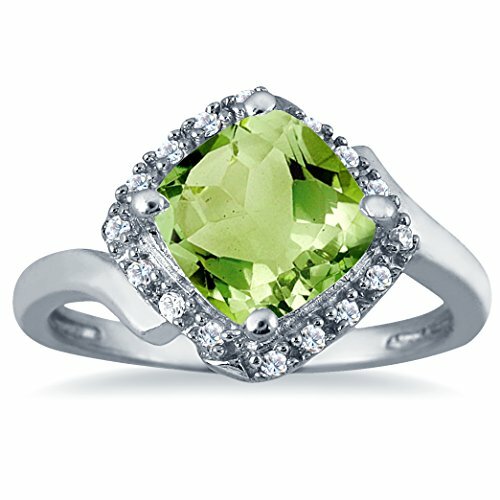 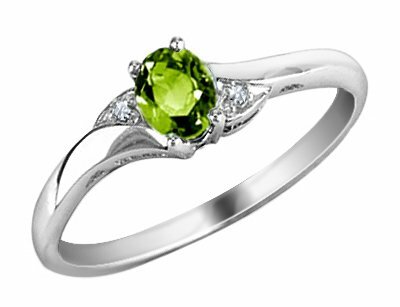 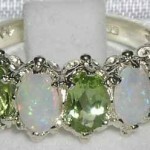 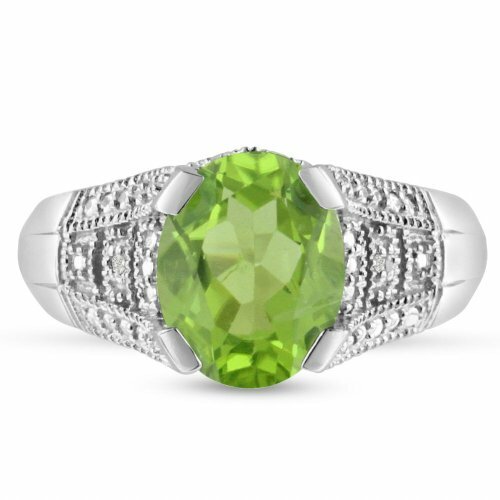 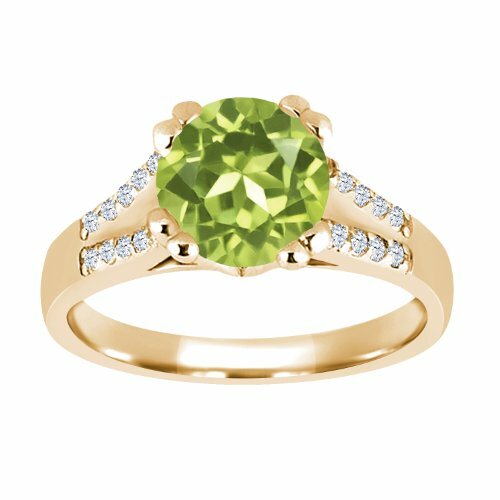 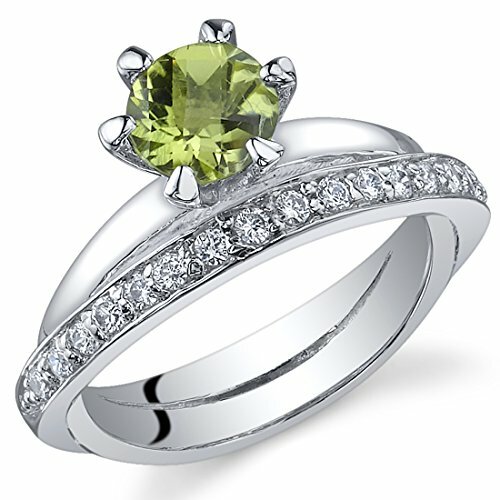 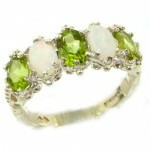 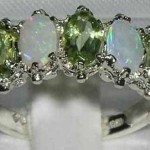 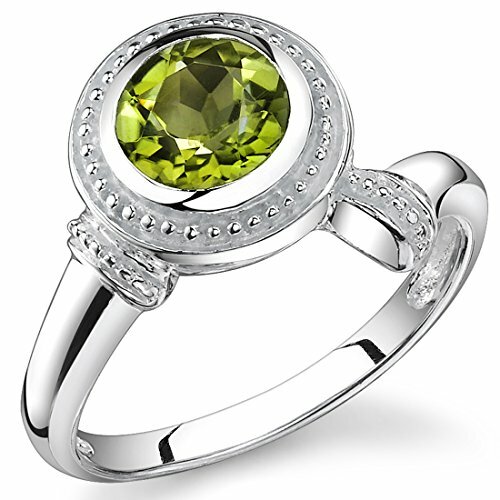 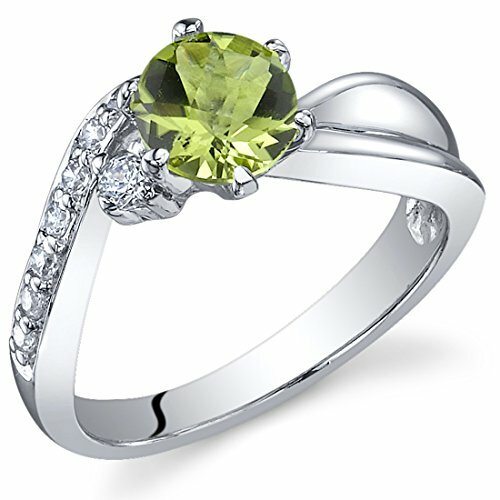 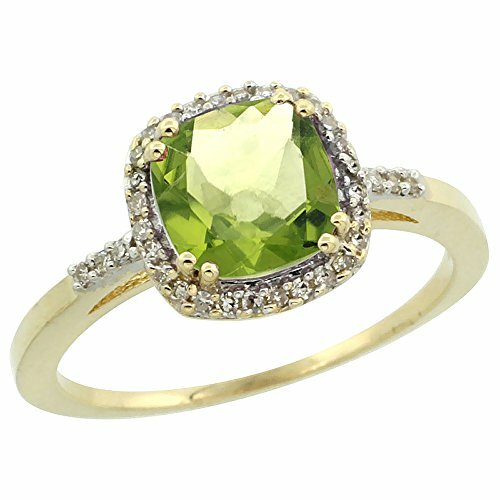 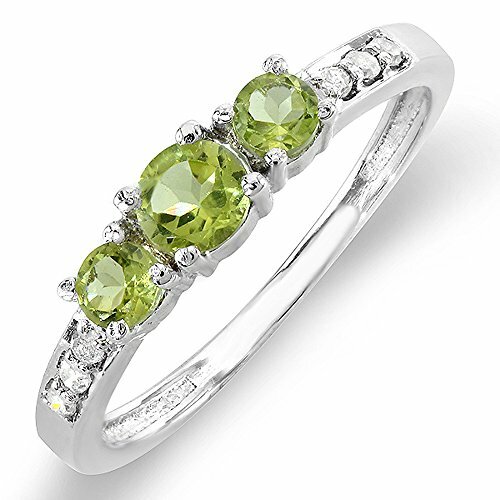 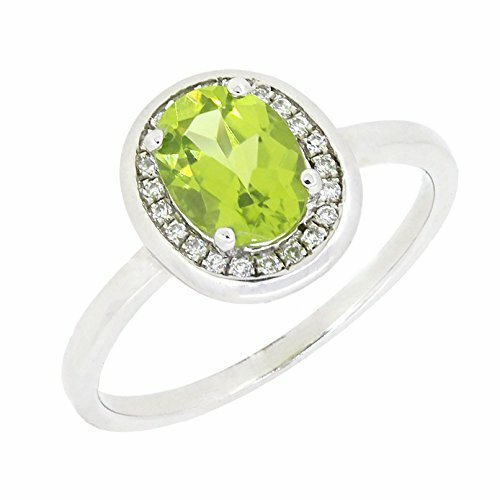 Genuine Natural Peridots & Opals. 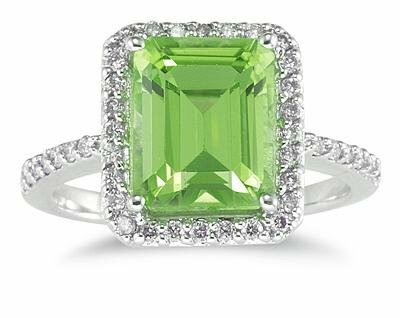 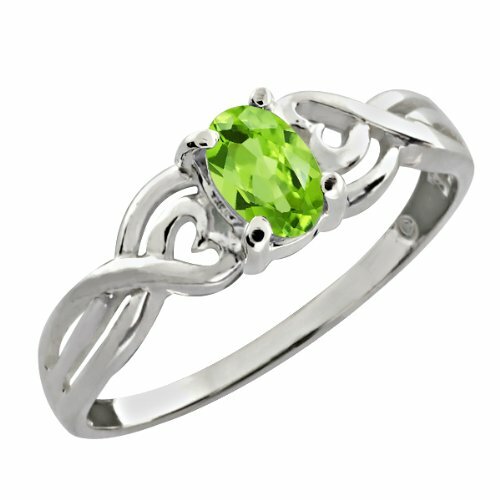 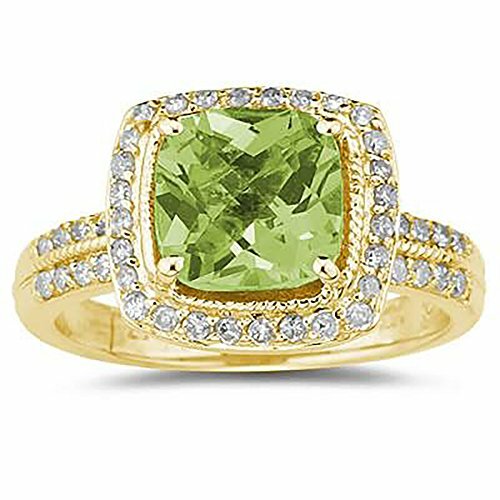 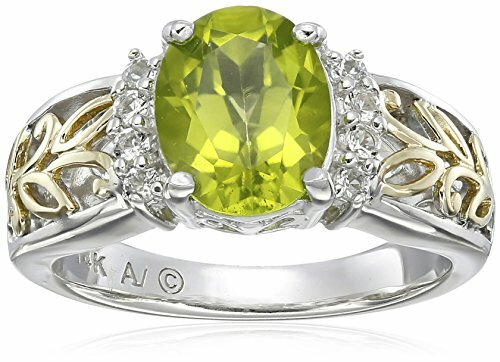 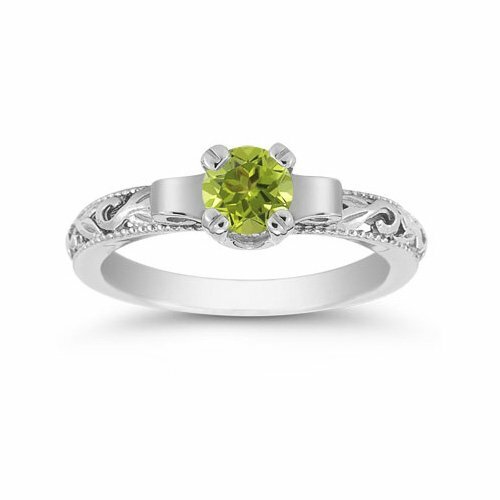 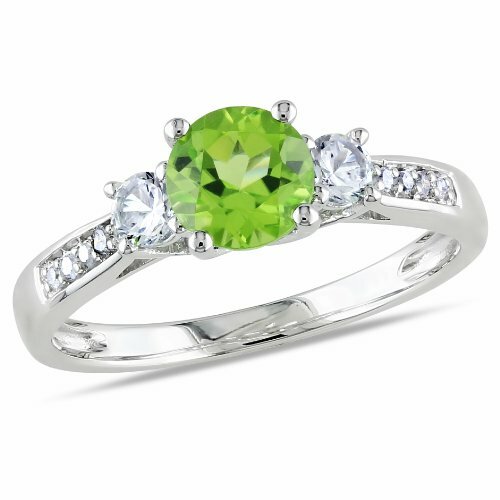 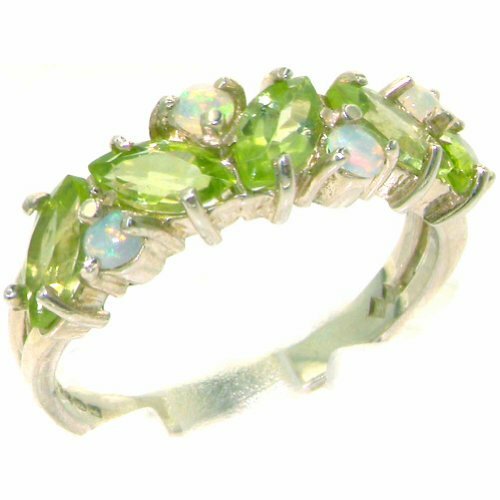 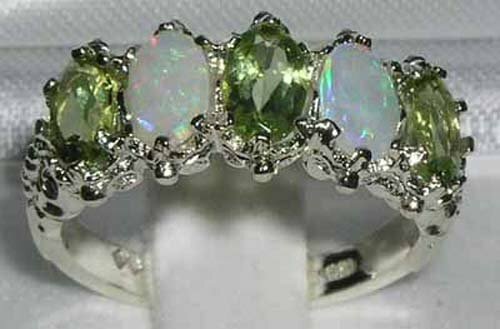 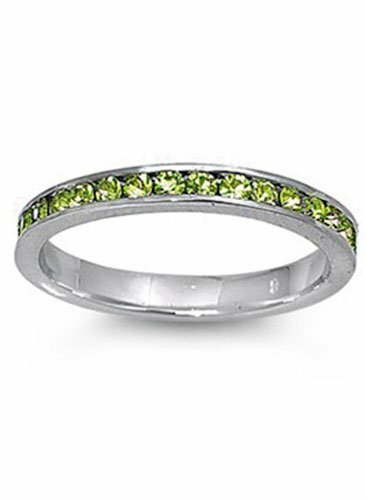 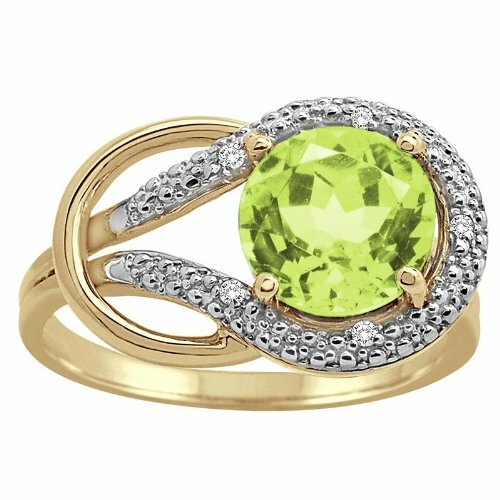 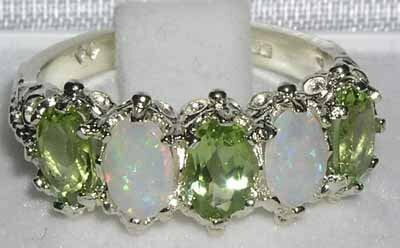 Three Natural Bright Green Peridots & two colorful Australian Opals equally measuring 6×4 mm (0.24″ x 0.16″) set in this Sterling Silver Antique style setting. 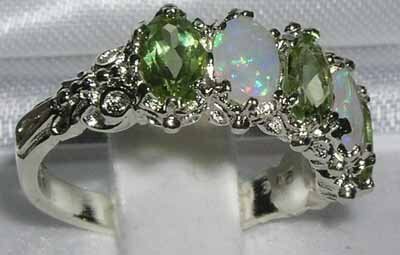 This is a real Beauty well made with a good thick shank. 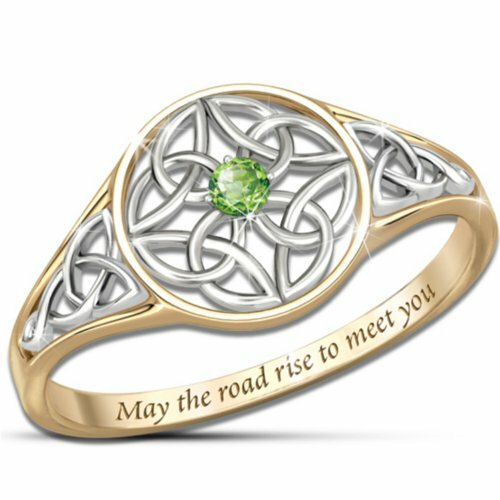 The inside of the shank of the ring has been stamped by the Assay Office in London. 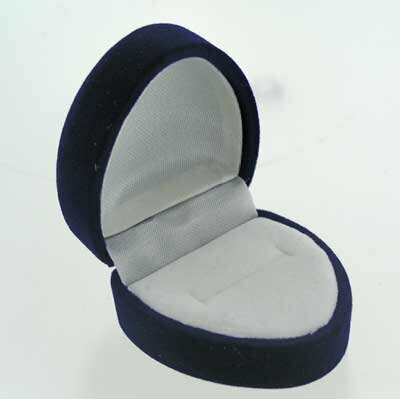 The Assay Office was established in the 1300Æs, they test the Precious Metal content of articles submitted to them and will only put their mark on items which have the correct Silver or Gold content, hence this stamp is your independent proof that this ring is made from Solid Silver. 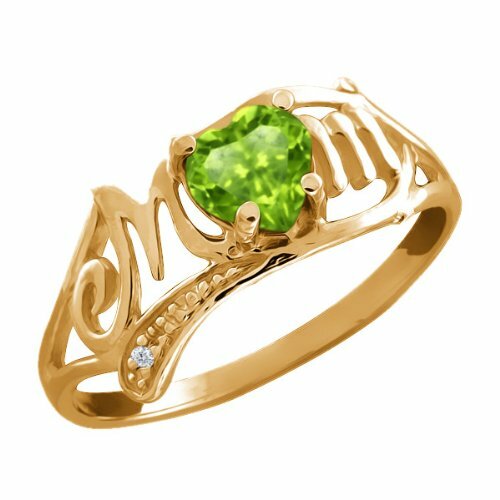 The mark includes 925, the Leopards Head and the Royal Lion. 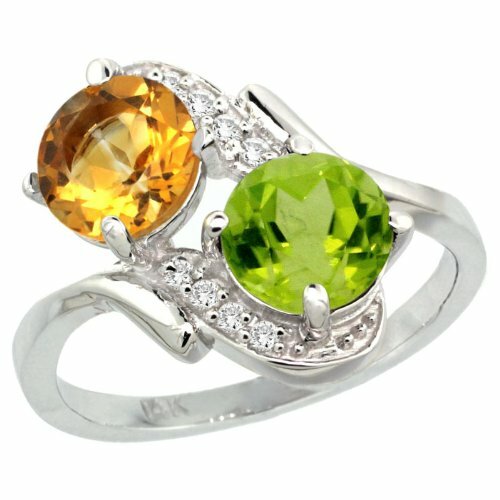 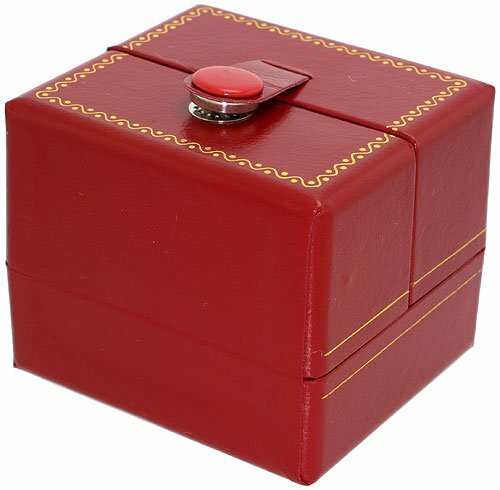 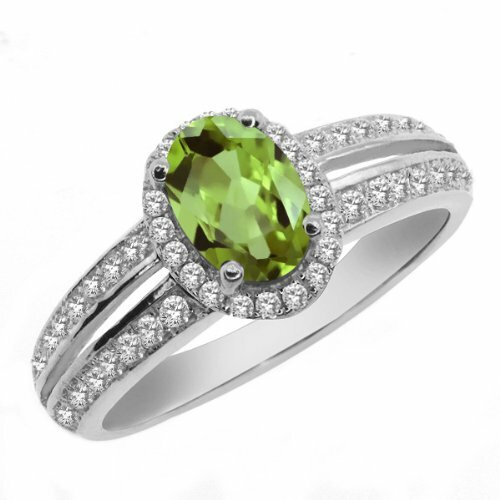 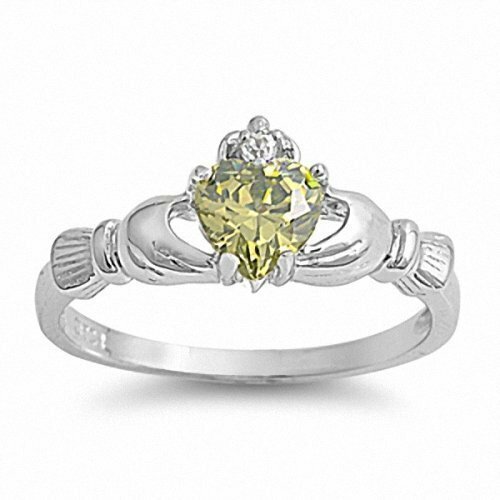 The ring is extremely well made by British Jewellers so the quality is extremely high.